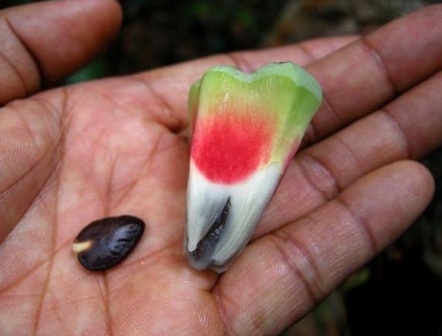 Noina pa is a wild growing fruit of Asian origin. Besides South China, it also grows in Myanmar, Thailand and Vietnam and is known by various names varying with the region. 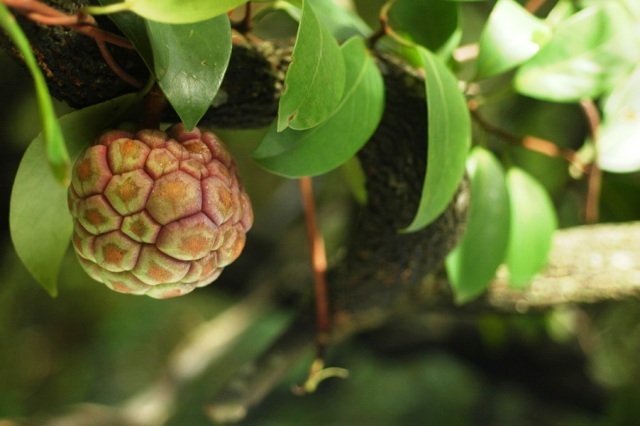 This fruit looks quite similar to sugar apple (Annona squamosa) but it has no taxonolical relationship even with the family annonaceae. Noina pa is the name of this fruit in Thai language and this literally means “wild sugar apple”. Hence they have started calling it wild sugar apple in English. A medium small to medium evergreen tree. Leaves elliptic to rarely ovate, 7-19 × 2.5-10 cm, papery to leathery, secondary veins 3-8(-12) on each side of midvein, base cuneate, broadly cuneate, or rarely truncate, margin entire or rarely denticulate, apex acute, shortly acuminate, or rarely obtuse. Flowers bisexual, flower peduncle 0.4-2(-3.1) cm (staminate), 0.7-3.8 cm (pistillate). sepals 8-16(-24), white, red, purplish red, or occasionally yellowish, largest (0.8-)1.2-2.3 × 0.6-1.2(-1.5) cm; staminate flowers: stamens 10-50; staminodes generally present at apex of torus; pistillate flowers: carpels 20-68. 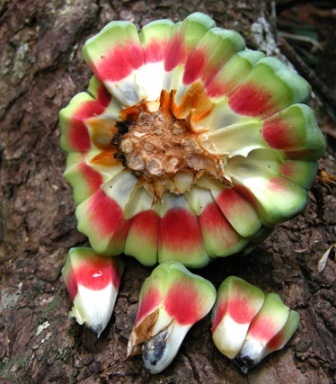 Fruit peduncle 2.6-4.9 cm; apocarps red to purplish red, 1.4-2.4 × 0.7-1.7 cm. Seeds 1 or 2 per apocarp, pyriform, 1-1.8 × 0.7-1.1 cm. Noina pa fruits are eaten fresh and taste a pleasant blend of sweet and sour. 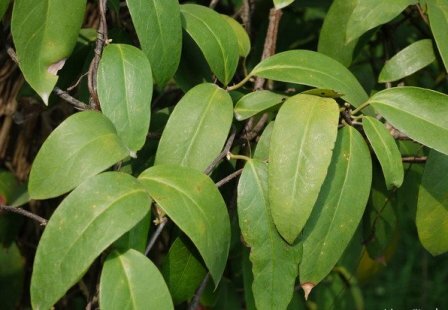 Noina pa plant is reported to have many medicinal uses in Chinese medicine. So far noina pa fruits are collected from the wild only and it is not being cultivated at any level. New plants, however, can be raised from seeds.